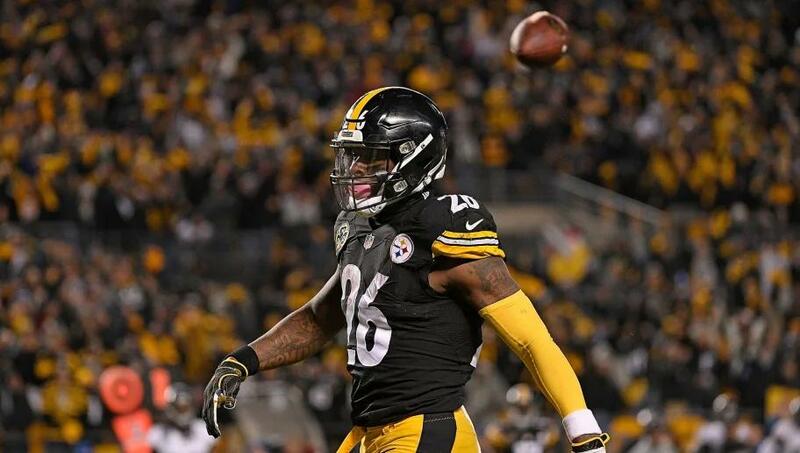 Le’Veon Bell will not be a member of the Pittsburgh Steelers next season, as the team confirmed that he will be allowed to enter free agency. Bell sat out the 2018 campaign amid a contract dispute and will now have the opportunity to seek the lucrative deal that evaded him during his time with the AFC North outfit. Was Le’Veon unhappy in Pittsburgh? You have to say the answer was a resounding yes, and there will be no shortage of teams willing to offer him a contract that includes a great deal of guaranteed money. The Indianapolis Colts, the New York Jets and the San Francisco 49ers are among the sides that will be attempting to secure his signature. From the Steelers’ point of view, they will be hopeful that he pursues a potential switch to the 49ers, keeping the All-Pro out of the AFC Conference. Although the Steelers missed out on the playoffs last season without Bell, his absence was not the decisive factor. James Conner filled the void and matched the levels of production of his predecessor before he suffered an ankle injury towards the end of the campaign. Injury problems have been the bane of Pittsburgh, particularly down the stretch run where their players have often been struck down. Whether it has been Ben Roethlisberger, Antonio Brown, Bell, Conner or in more severe circumstances Ryan Shazier, luck has not been on the club’s side in retaining the health of their superstars for a run at the Superbowl. It perhaps highlights the importance of depth rather than paying their stars lucrative deals that take up valuable cap space. Given that Bell is leaving and Brown is close to following him out the door, Pittsburgh will have space to manoeuvre. Conner will step into the starting role, while JuJu Smith-Schuster will take over the primary receiving spot ahead of Brown. From Hines Ward to Mike Wallace to Brown to Smith-Schuster, the Steelers have enjoyed a great run of success in developing wideouts. James Washington could be the next story, although there could be experience available in free agency with perhaps Emmanuel Sanders becoming available due to the size of his contract with the Denver Broncos. The trade market could also open up options such as DeSean Jackson from the Tampa Bay Buccaneers. The players at the top of the market may get expensive, although players of the ilk of Randall Cobb, Jamison Crowder and Devin Funchess have been productive and could be even more so with Roethlisberger. There’s nothing to fear about finding a running back. Pittsburgh has one of the best offensive lines in the NFL, which should continue despite Mike Munchak’s departure. Conner was a third-round pick and matched the production levels of Bell, rushing for 973 yards and notching 497 yards with 13 total touchdowns before his injury. Easing the strain on him will be the key going forward. There are ample running backs available in the Draft, while Phillip Lindsay proved that there is quality even in undrafted players at the position. Spreading the ball around has to become the Steelers’ philosophy. There has been too much onus on key players receiving the ball on a weekly basis. It has not only resulted in a poor atmosphere at the club, but also an overreliance on them, which when injuries have struck have led to failure for Mike Tomlin’s men. It will be a new era in Pittsburgh, although it’s one that should be embraced rather than feared. Be the first to comment on "Steelers Should Not Fear Bell and Brown Departures"